Larry Cook, Natural Health Author & Video Producer: While I was at the Green Festival, I talked with Dan at the Big Brand Water Filter Company, and here’s what he has to say about what’s in our water and why we should filter it. 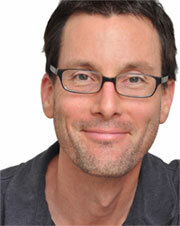 Dan Saltsburg, president of Big Brand Water Filter: I’m Dan Saltsburg with Big Brand Water. We’re going to talk a bit about what’s in your tap water here. When we do water treatment, we break it down into three different areas. We have biological, physical, and chemical contaminants. In the physical, we’re talking about suspended rust particles, dirt and that sort of thing, and those are generally removed with a settlement filter. Then when we get into biological bacteria, viruses and cysts. They’re generally very small. The cysts can be two to five microns. It can be mechanically filtered. Bacteria and viruses are often killed at the city level with chlorine, and at the whole house level we can do things like ultraviolet filtration. Then, when we get into chemical, that’s broken down on into organic and inorganic. Organic will be things like pesticides, herbicides, derivative parts of gasoline that are broken down and other toxic chemicals. 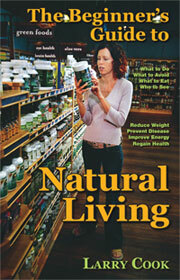 Inorganics are things like metals some of them can be healthy like calcium and magnesium. Others can be toxic like arsenic or cyanide. So when we do water filtration there’s a couple styles of systems on the market. We’ll see carbon filtration. We’ll also see reverse osmosis, and some parts of the systems are very similar. They both use carbon filtration and they both use settlement filtration. Where the difference lies is that in a reverse osmosis will have a membrane. And that membrane is going to remove the dissolved minerals, and also remove some of the organics that the carbon filters won’t remove. Now, those minerals it’s removing some may be healthy and some aren’t. The calcium and magnesium will be removed. Also, things like fluoride and the heavy metals will be removed. So, with the reverse osmosis it’s making the water to slow process. You’ll have a tank that it’ll be stored in, and there is some waste water associated with the reverse osmosis. It’s tough sometimes on city waters, you know, which to go with and some have a taste preference. Some prefer the reverse osmosis, while others for the carbon filtration, but the most important thing I can tell you is that whatever system you get, make sure you do change your filters regularly. If you go too long on the filters, they do over saturate, and the stuff that it’s absorbed can be rereleased at a later time. So, first you want to get a good system, have it professional installed. Make sure you sterilize it properly and change your filters on a regular basis. We have carbon filters, reverse osmosis filters, whole house filters, whole house carbon treatment, ultraviolet systems and many more systems available. 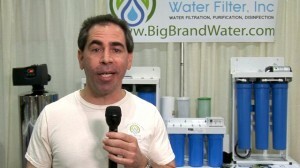 So, if you want to get a great system, check out our website at www.bigbrandwater.com for Big Brand Water Filter. Larry Cook, Natural Health Author & Video Producer: I recommend, as do quite a few other people in a natural health sector, that you should not be drinking your tap water unless you filter it, and especially you want to get rid of fluoride and chlorine, and all of the other contaminants. So you need a filter that will do that. Reverse osmosis is a good one. There are other filters out there. I recommend that you do your research and find a water filter that will work for you. If you like the video, please hit the like button. If you want to see more videos like this please subscribe to my channel. If you have any comments or questions, please leave them, and thank you for watching. I’m Larry Cook.